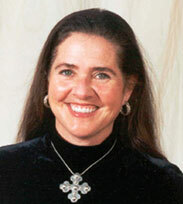 As president of parent groups for three different schools over the past 16 years, and the chair of eight auctions, Katherine has honed her organizational, multitasking and negotiating people skills, helping her to achieve much success in the raising of over $300,000 in contributions for the benefit of Santa Fe school children. She currently serves on the Buckarro Ball Committee, which grants funds to at-risk Santa Fe County children. The vision and leadership she provides translates well into the multidimensional world of real estate. Combining her multicultural background, many close personal contacts and organizational skills, Katherine looks forward to providing her clients with a very special service, insight and perspective. Katherine has been a licensed real estate broker since 2003 and, based on the total dollar amount sold, consistently ranks in the top 5% of Santa Fe’s brokers. Katherine loves living in Santa Fe because she feels it is the closest one can get to living abroad within the confines of the country. The extent and quality of choices for a small town include fine arts, performing arts, museums, archaeological sites and great shopping. Being an avid hiker, New Mexico is a hiker’s haven, with thousands of beautiful trails. The vastness of the vistas and the brilliant quality of light and air unite to make life in this city different and spectacularly unequaled.